The festive season is truly the most wonderful time of the year. Around the world, friends, family and loved ones come together to toast the highs of the year that has passed, and the hopes for the year that is to come. The spirit of the season is defined by celebration: exchanging gifts, spending quality time with loved ones and making new special memories. The joy is tangible at this time of the year, and nothing encapsulates the mood of the season quite like the magic of Paris. 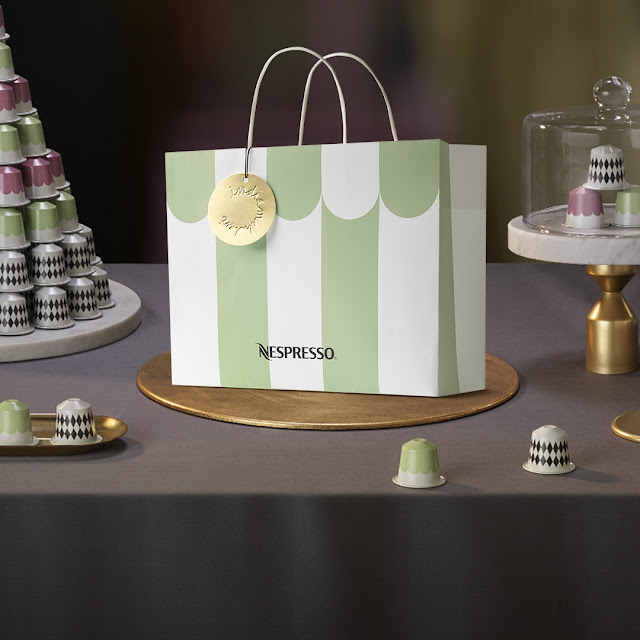 In order to celebrate the indulgence, opulence, and wonder of the festive season, Nespresso has launched the new Limited Edition Variations inspired by Parisian Gourmandise. The Variations coffees center on the sweet treats synonymous with the festive season, and are inspired by the traditional flavors of Parisian patisseries including Macaron and Praline. These quintessentially French flavors will instantly transport you to a Parisian cafe from the first sip. These Variations boast two unique flavor creations and, in true French fashion, include a Paris Black espresso coffee that caters to those preferring coffee in its pure taste. 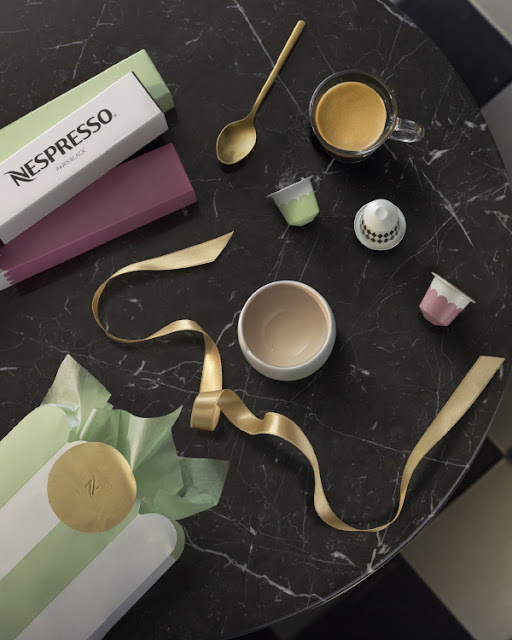 The decadence and delight of each of these three Nespresso Variations coffees are captured by their packaging, uniquely designed by a renowned international interior designer, India Mahdavi. Based in Paris, Mahdavi has created some of the world’s most iconic modern spaces including The Gallery at Sketch in London, Jean François Piège in Paris and APT in New York. Treating each creation as though it is a couture piece, Mahdavi’s influence on the Nespresso Variations is evident in the range’s pastel hues and playful designs. 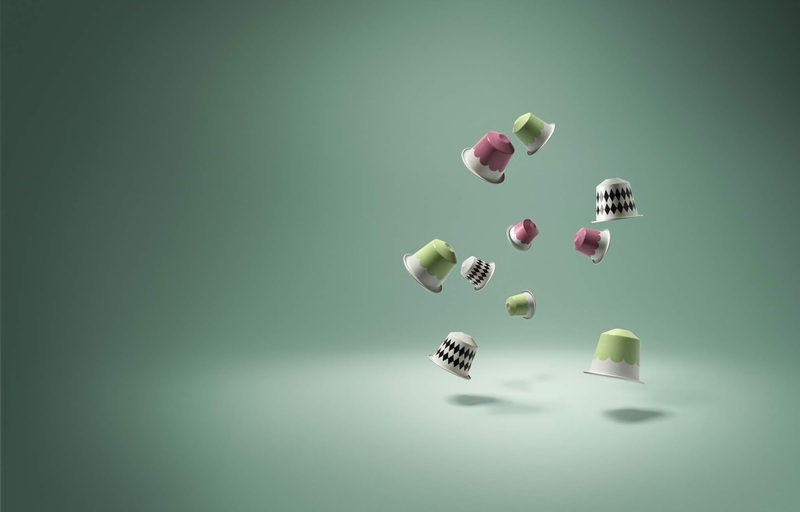 She has created a collection fit for the most discerning of coffee and design aficionados. A harmonious combination of cereal notes and a subtle and sweet almond flavor, emblematic of the macaron pastry. This flavored espresso pairs the roundness of Livanto’s base with a delicate roasted hazelnut flavor, enhanced by a touch of caramel sweetness. A harmonious blend reminiscent of a praliné dessert. A very aromatic blend of Arabicas, emboldened by Robusta. It displays notes of cereal and nuts in a syrupy texture, combined with spicy and woody tones.